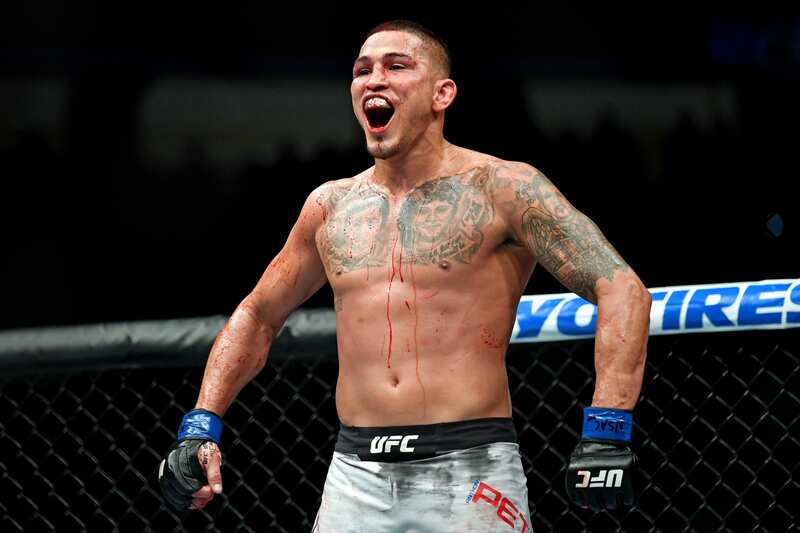 Anthony Pettis might be making the jump up to welterweight, but he has no interest in fighting teammate Ben Askren. 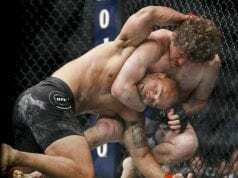 Askren made quite the impression on the UFC audience with a controversial first-round submission victory over former 170-pound champion Robbie Lawler in his Octagon debut at March 2’s UFC 235. “I would never fight Ben Askren, I’d save myself the embarrassment,” Pettis said. “That dude is a (expletive) monster. (He’s) the type of guy that, you can never count him out. Pettis will make his welterweight debut in a very exciting match-up. He will headline this Saturday’s (March 23, 2019) UFC on ESPN+ 6 from the Bridgestone Arena. Standing across the cage from him will be two-time former welterweight title challenger Stephen “Wonderboy” Thompson. Both names are two of the sport’s most dynamic strikers. Their fight certainly has an early “Fight Of The Year” candidate written all over it. If ‘Showtime’ wins, just don’t expect a bout versus Askren at welterweight.